Peter Bryer: Mobile Foresight: Samsung Galaxy Grand 5-inch dual SIM. Even phablets are going dual SIM these days. 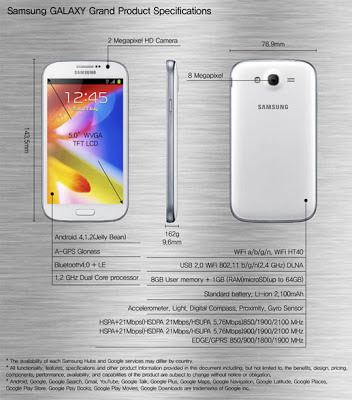 This Samsung Galaxy Grand smartphone with dual Sim option will definitely get a big portion of smartphone market. Very nice mobile .Thanks for sharing the details of the mobile. This is very good mobile, I like this post so much. Thanks for sharing with us!